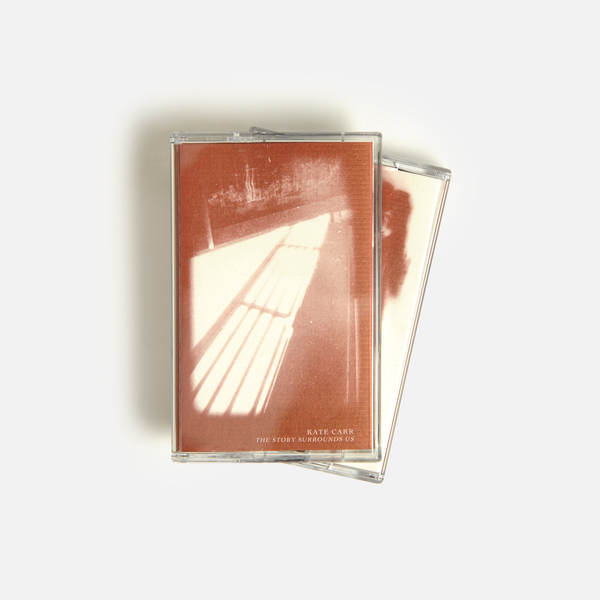 Quietly amazing, melt-on-the-mind ambient dreamwork from Kate Carr - proprietor of the prolific Flaming Pines label - who returns to the Helen Scarsdale Agency for a 2nd release of hushed tones and layered field recordings following from 2016’s It Was A Time Of Laboured Metaphors. 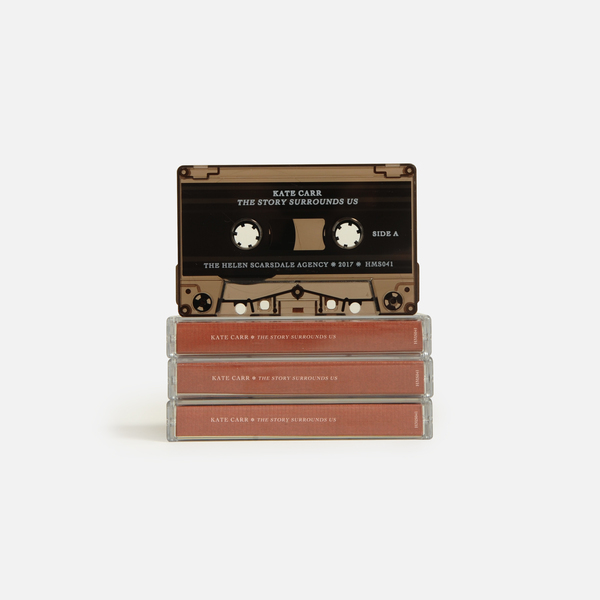 Her 11th or so album, The Story Surrounds Us is a waking dream of incidental, acousmatic sound gently infiltrated by her barely-there presence via guitar and hushed vox. It’s the kind of stuff where you’ll have to remind yourself to breathe every now and again, as you attempt to hear all the details of her near-static and pensile arrangements which burble to life at the most unexpected but somehow logical junctures - at those points when you’ve possibly held your breath for so long that you’re tripping off a lack of oxygen anyway, and can’t discern what is and isn't real around you. 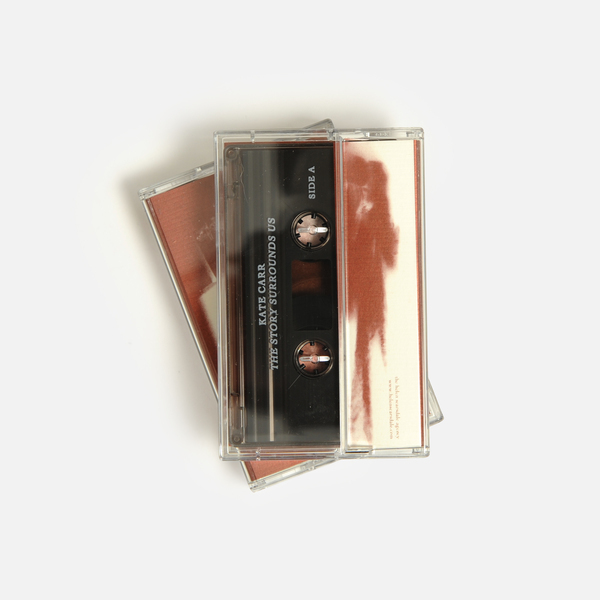 The Story Surrounds Us is deeply redolent of the absorbing atmospheres which made Julia Holter’s Tragedy album so memorable. 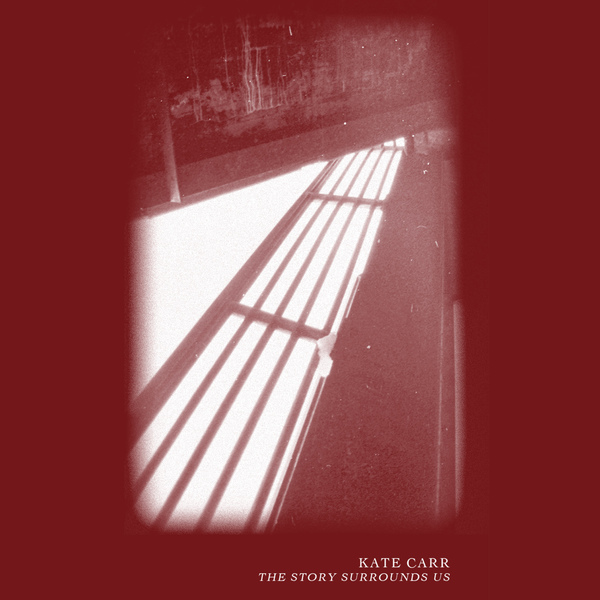 But, Kate Carr takes that feeling a step further by using broad strokes of near-silent lacunæ and allowing sounds to evaporate as breezily as they appeared, all lending itself to connotations of the natural world and serves to beautifully blur the perceptive distinctions of unease, internalised ecstasy and those odder/auditive integers of waking and dream life. 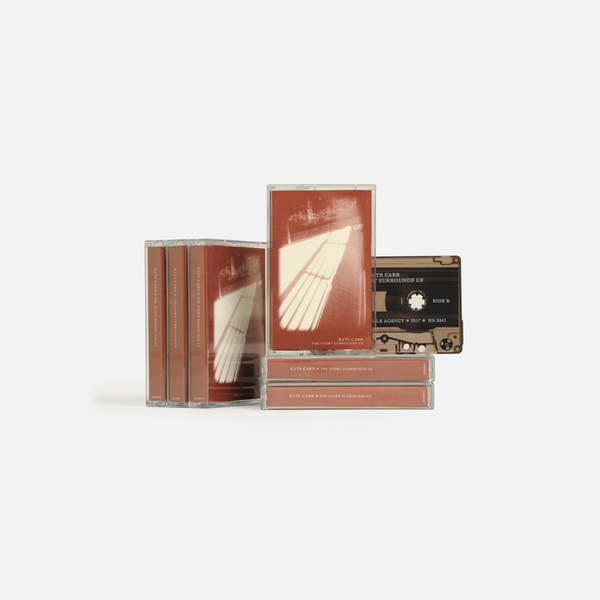 It will slowly and subtly dawn upon the listener that this is some really special music, collage, composition - whatever you want to call it - in a way that you don’t come across often, even though it ironically reflects the sounds of everyday life, if you pay close/detached attention. Imagine an out of body experience, in a dream, where you’re watching Carla Dal Forno jam with Áine O’Dwyer in the back of a tardis-like van, all the sounds of the streets outside infiltrating a dark cavern on wheels, and you may have some gist of what’s going on. To be fair we only have the slightest grip on it, but instincts are telling us this is a reel, rare beauty. 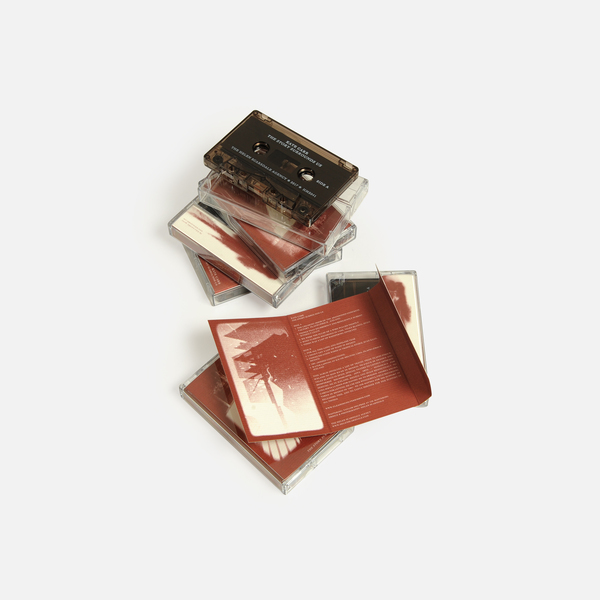 Pro-duplicated tape with J-card printed on archival, classic laid paper, 100 copies only.